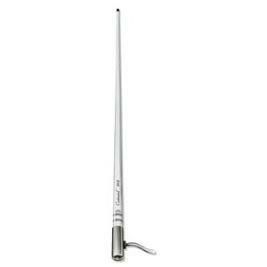 Quality Boat Aerial, Uhf and Vhf Antennas, Coaxial Cable and Boat Aerial Connectors, Fittings and Fixings. 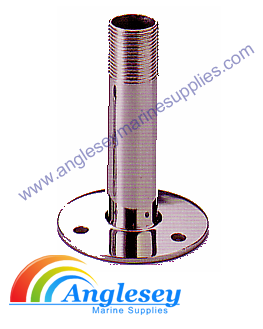 316 stainless steel boat aerial mounts supplied. 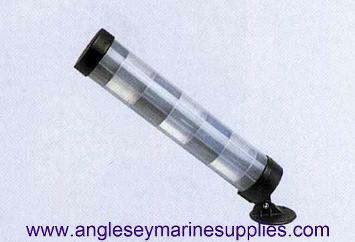 Also now supplying boat radar reflectors for powerboats, yachts, sailboats etc with all the fittings. 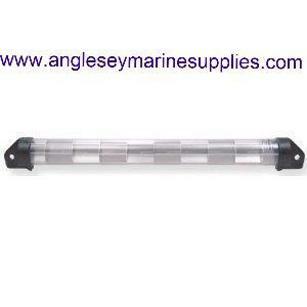 Marine Communication Fittings From Anglesey Marine Supplies. Whip boat aerial. Comes complete with a stand off bracket. 20 foot (6.1m) of RG58A cable and PL259 connector. 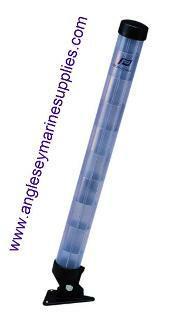 Aerial length 1m and made from stainless steel. White tapered GRP Boat Aerial is extremely strong. 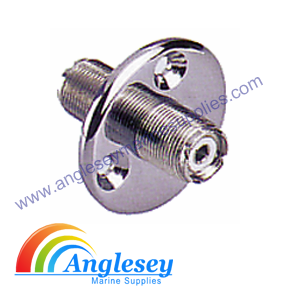 It has a bonded chrome plated brass ferrule with standard 1" 14tpi thread. 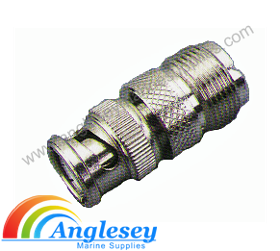 Fitted with 25 foot (7.6m) RG58A cable and PL259 connector. Base not included. Fibreglass whip 3FT Boat aerials with bonded white ferrule and a u.v resistant fully adjustable ratchet base. For use on smaller boats. This aerial can be mounted almost anywhere. 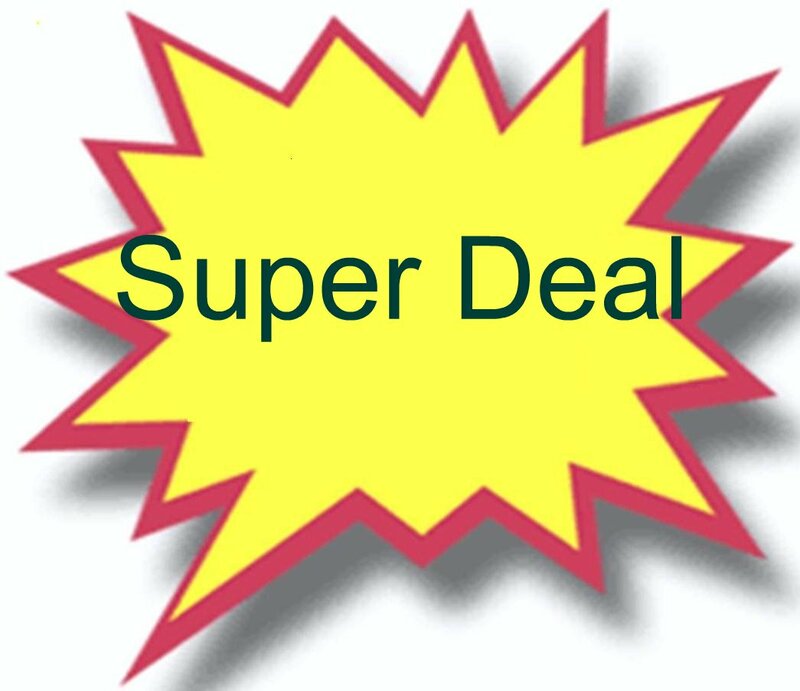 Has 20 foot (6.1m) of RG58A cable and PL259 connector. Fibreglass whip 5ft boat aerials with bonded white ferrule and a u.v resistant fully adjustable ratchet base. For use on smaller boats. This aerial can be mounted almost anywhere. Has 20 foot (6.1m) of RG58A cable and PL259 connector. 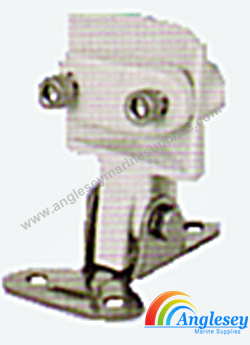 Boat aerial mount Suitable for horizontal or vertical mounting. They will adjust in 2 planes to obtain best position and fold down to avoid any obstructions. 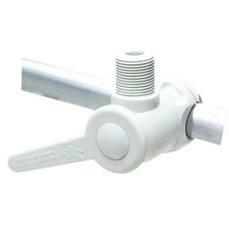 Stainless steel boat aerial mount Suitable for horizontal or vertical mounting. They will adjust in 2 planes to obtain best position and fold down to avoid any obstructions. 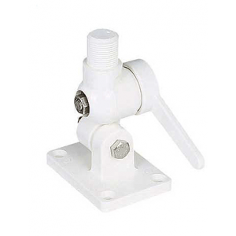 White UV resistant nylon Boat Rail aerial Mount base to fit onto boat guard rails. 1" 14 TPI Thread easily clamps onto existing boat guard rails. 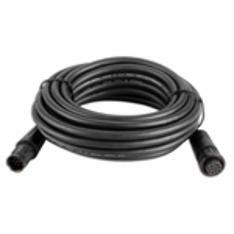 A 20M Boat Aerial extension cable fitted with male/female connectors giving you extra length from antenna to radio. for fitting to radar arches or “A” frames. Predrilled with three holes for fixing. Boat bulkhead aerial connector. 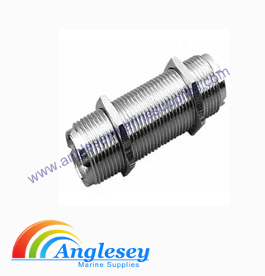 Cable in line boat bulkhead connectors for boat bulkheads. Straight connector for boat bulkheads, Takes PL59 cable ends. Double female boat bulkhead boat aerial connector. 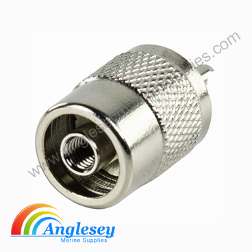 Use when connecting 2- PL259 male connectors through bulkheads. 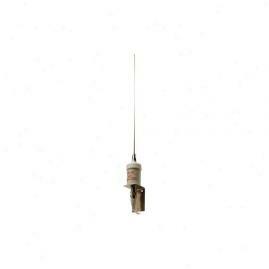 UHF hand held boat radio aerial adaptor, enables your hand held radio to use a larger VHF antenna. PL259 boat radio aerial connector. 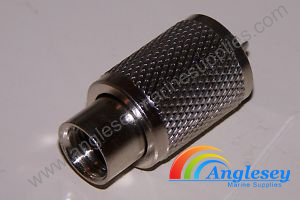 Chrome plated PL259 boat radio aerial connector to fit RG213 cable. Screw on fitting. PL258 boat radio aerial connector. 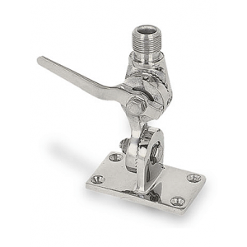 Chrome plated brass in line boat aerial straight connector. PL259 boat radio aerial connector. 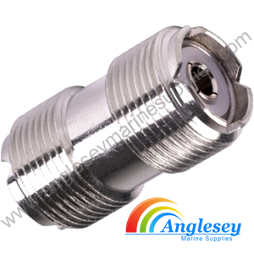 Chrome plated PL259 boat radio aerial connector plug to fit RG58 cable. Screw in fitting. 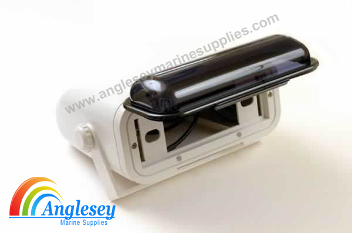 Anglesey Marine Supplies offers you a range of compact boat, yacht, sailboat boat radar reflector with an higher efficiency than the traditional thromboided type. All with range of 2.5 nautical miles. Long power boat radar reflector designed for A frames on RIBs and powerboats. Can also be fitted to deck or boat cuddy, cabin etc. Comes complete with fixing kit. 22" long x 2" diameter. Short power boat radar reflector designed for A frames on RIBs and powerboats. 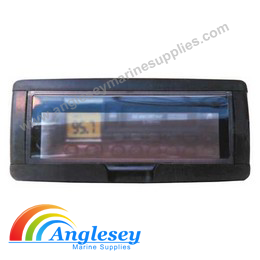 Can also be fitted to deck or boat cuddy, cabin etc. Comes complete with fixing kit. 14" long x 2" diameter. Boat radar reflector designed for use on sailboat, yachts etc. Features grooves to fit to shrouds. Boat radar reflector fixing kit, Two types available, one used for sailboats and one used for powerboats. Please use drop menu for choice options. Seaworthy l6Omm (6’) dia. 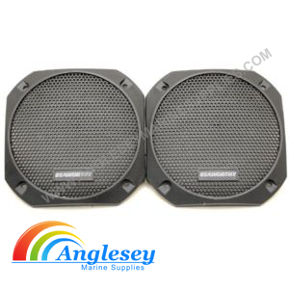 flush mount waterproof boat speakers. 30 watts per channel. Fits all boat radios. Seaworthy sea-dor boat cd radio cover. This surface mounted weatherproof cover is manually operated and is curved and tinted into a lexan bubble. Universal fit. Marine boat radio housing. Universal fit. Complete with all necessary connectors. Is also fitted with a curved lexan weatherproof cover.